The Old Parkland West Campus was recently recognized with a North American Copper in Architecture Award. The award recognizes and promotes North American building projects for their outstanding use of architectural copper and copper alloys. Parkland Hall, one of the buildings on the campus, features a striking copper dome sourced from Germany. 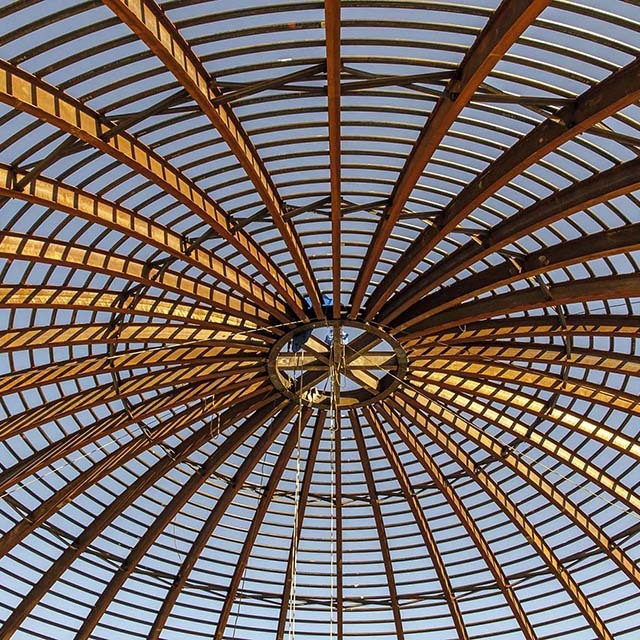 The dome is a steel design rolled to pipes for a smooth surface. The copper was pre-fabricated with the use of BIM and by project’s end the German craftsman who performed the installation of the dome had only seven copper shingles left. The North American Copper in Architecture Awards program showcases a wide range of projects, all of which highlight craftsmanship, attention to detail and architectural vision.